ARTandMED Talks aim to be both though-provoking and engaging, expertly narrating our experiences from both ends of the scalpel. Ted brings a warm and humorous style, engaging the audience in his singular story with accessible anecdotes and thoughtful perspectives on life, art, illness, family and the quest for meaning. 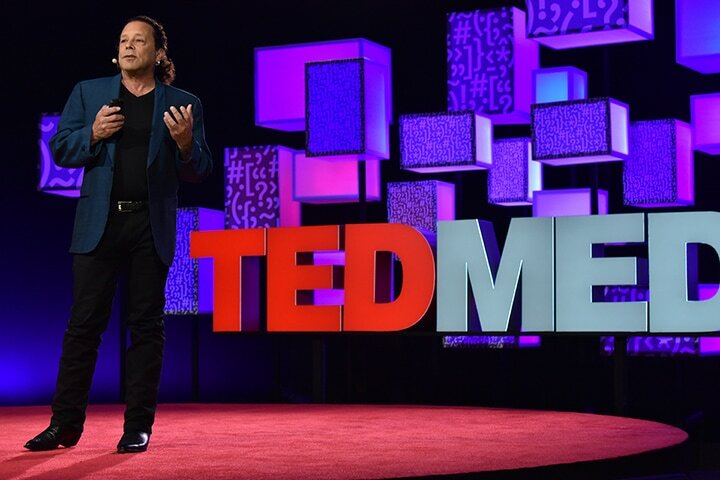 Ted recently spoke to an audience of 1,200 at the Collaborating Across Borders Conference in Roanoke, Virginia as was a TEDMED main stage speaker. Simi loves to infect people, with ideas and fresh understandings gleaned from her own experiences with patient care and teaching, and from listening to the darndest things kids (her own and her patients) say. Simi recently spoke to an audience of medical educators at the AMA's ChangeMedEd Conference in Chicago, Illinois. As a small child with a serious illness, Ted Meyer was told to be patient. Be patient for treatment, for new joints, for results. And ultimately, be patient for the possibility of a normal life expectancy. Like all patients, he was told to be a patient patient. Upbeat and inspiring stories of personal survival. Enlightenment on how healthcare affects every aspect of the patient’s and family’s life. Knowledge about rare diseases and other health issues not often publicized. Testimony that illness can be an amazing motivator for creatives. 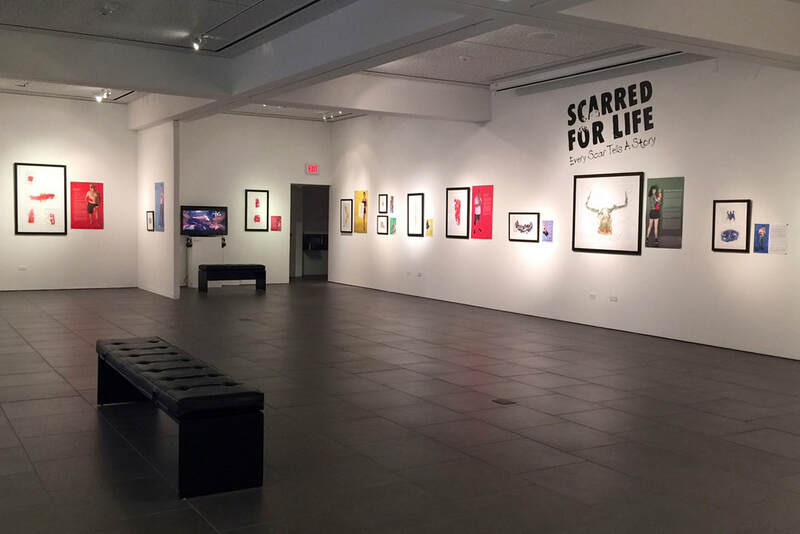 Meyer’s :Scarred for Life” project has received extensive press coverage from organizations that include The New York Times, USA Today, Chicago Tribune, ﻿Huffington Post﻿, NPR StoryCorp and PBS. His work has been shown in museums around the world. Upbeat and inspiring stories of survival. Knowledge of rare diseases and other health issues not often publicized. Empathy for people with health issues. New appreciation for all body images, including those with scars. As the Resident Artist at UCLA’s Geffen School of Medicine, Meyer has extended his curating knowledge to art installations in nontraditional places. Hospital administrators/other professionals: an understanding of the positive effects of exhibiting visual art in their public spaces. Curators: the steps to follow when curating a show for non-artists in non-art spaces; information on curating for topical audiences instead of collectors. Students: insight on curation outside of the art world. When it came to answering the simple question, "Where are you from? ", Simi found herself, depending on who was asking, changing the narrative bent slightly to accommodate the constraints of time, context and listener interest. At times her life story became one of constant progress, a geographic westward trajectory, 'next stop Pacific Ocean', was a running joke. Sometimes her life story was one of self-discovery, a search for home, or in darker times, one of disruption and alienation, a search for identity and meaning. It is in these small ways that we are always creating and re-creating 'the self', trying on slightly different tonal variations of the same notes, and it is the same with a patient's story, she came to realize. Depending on who was listening, the story could be a succinct one-liner devoid of any detail, or a rich yarn with many layers or truth revealed in one event. An ear for narrative was needed to recognize when to slow down, a theoretical framework was required if this was to be applied to her work as a pediatrician. A talk geared towards medical trainees, faculty and practitioners, Simi breaks down what Narrative Medicine is, and more importantly, how it can "bridge society's divides". The importance of stories to medical practice cannot be over-emphasized, however, most practitioners are not trained in methods of utilizing narrative or recognizing it's particularities and elements in order to improve the care that they are able to give to a patient. ​The narrative features of medicine: its temporality, singularity, causality/ contingency, intersubjectivity and ethicality; and the ways in which they impact the practice of medicine, are discussed briefly. The creation of physician identity in the form of the Reflective Practitioner (Schon), the development of the therapeutic self, and various methods of developing narrative competence are the themes of this 60 min talk.